When first released, this first series of Fourth Doctor adventures came with the tag line, 'It's Saturday teatime in 1977 all over again' and promised big things for our favourite Fourth incarnation of the timelord and his warrior companion Leela. As I wasn't born in the 1970's or the 80's come to think of it, I don't know what Saturday teatime in 1977 was like. I don't think it was like this though. With stories like Talons of Weng-Chiang, Horror of Fang Rock and Image of the Fendahl to entertain us, I don't think this story can compete at all. Launching the first series is Nicholas Briggs with his story, Destination: Nerva and follows on right from when we left the Doctor and Leela at the end of The Talons of Weng-Chiang. It is a shame that it is almost too close to the end of this story because it does nothing to the plot except grounding the series continuity wise. I have to appolgise when I say that I am not a big fan of Ark In Space, the first story where we see Nerva. I find it dull and boring so a return to Nerva was never going to be something that particularly interested me. But the reason I picked up this release was because I am a big Doctor Who fan and it saw the return of Tom Baker after years of not having played the role he is perhaps most famous for. It is perhaps odd that practically none of the main action takes place on Nerva, the story opens in Victorian London and then we are far into the future on a spaceship orbiting the space station to find the mysterious occupants infecting the crew of the station with an even more mysterious disease. But by the end of Part 1 I found the story had the same problems that have plagued so many of the Companion Chronicles and Eighth Doctor Adventures, nothing has happened, nothing at all. Literally all that has happened is the Doctor and Leela have had a few awkward arguments with various members of the crew and many of the characters have been acting stupid. 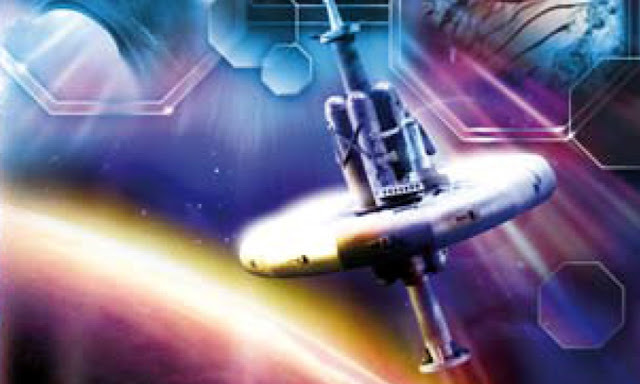 Nicholas Briggs has proved to us that he is a good writer with great space stories like The Dalek Contract/The Final Phase and Embrace the Darkness already under his belt. Unfortunately this story lets him down as it is dull and uninteresting. Sorry. Perhaps the only character in the whole story is the character of Doctor Foster, and the poem is mentioned, who is played so well by Raquel Cassidy, also the only interesting character in The Almost People, the Matt Smith story. But she does lack depth in the writing and the moment she should be given some, instead she starts talking about her dead daughter for no reason whatsoever. Throughout the whole story, Tom Baker and Louise Jameson shine. As The Auntie Matter was the first story with him I listened too it takes a while to get used to his obviously older voice but once you get past this, it sounds like he has never been away. There are perhaps too many obviously goofy bits that pepper the script but Baker takes this in his stride and makes the best of them. As always, Jameson is wonderful, she too sounds like she has never been away. Leela was always and I'm sure, will always be one of my favourite companions and these plays continue to promise to throw her to even greater heights. While the whole point of this story was too see what would happen if Victorians had ever gone into space, Briggs failed to realise that this had already been done in War of The Worlds and we have to ask ourselves is it something that we really want to know, or really find interesting? What is obviously supposed to be one of the 'greatest hits' of the Fourth Doctor tenure goes out with more of a whimper than a bang and the whole thing is utterly forgettable. But it does promise for greater things to come and finally, Tom Baker is back! DESTINATION: NERVA WRITTEN BY NICHOLAS BRIGGS AND STARRNG TOM BAKER AND LOUISE JAMESON WAS RELEASED BY BIG FINISH PRODUCTIONS IN JANUARY 2012.